Talk by John Punshon, speaker at the Friends Association of Higher Education (FAHE) Annual Conference held at Woodbrooke 19 – 22 June 2008. John’s talk, ‘the Pinnacles of the Temple’ reflects on the place , the Temple, where faith and practice meet. He considers the nature of how we maintain our integrity in both our faith and our practice and how we need to ask for help in the protection of that integrity. 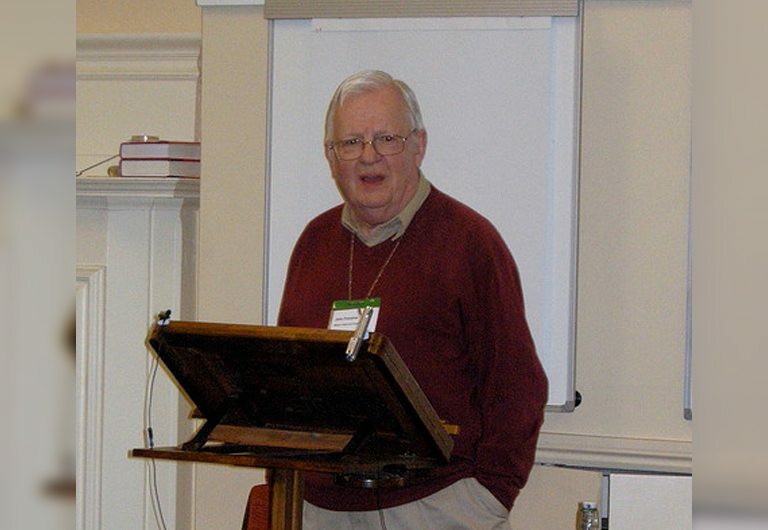 John Punshon taught Quaker Studies taught at Earlham College and Earlham School of Religion, and is a recorded minister in Indiana Yearly Meeting of Friends. Two of his books, Encounter with Silence, and Testimony and Tradition deal with aspects of Quaker spirituality, and his latest work, Reasons for Hope is a study of evangelical Quakerism.